This level has hard difficulty. 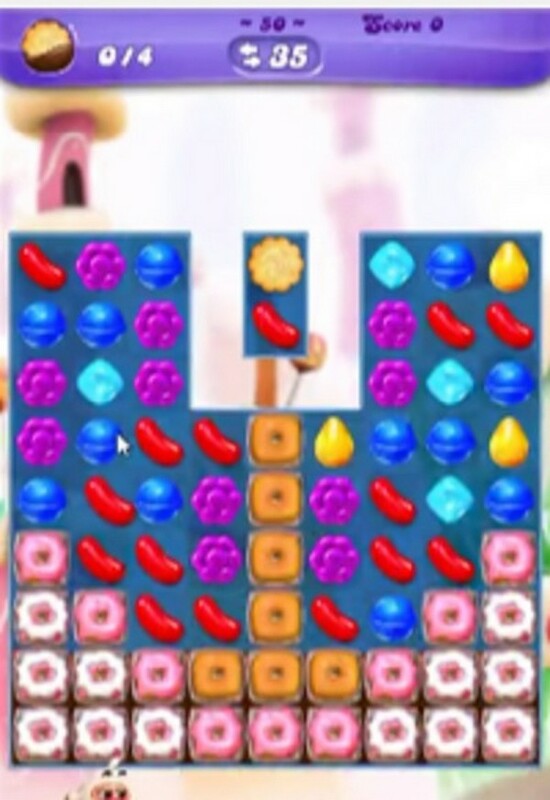 For this level try to play from bottom to break the candies to shuffle the biscuit to the bottom. Or make special candy by combining more than three same color candies. Use special candies with each other to shuffle the biscuit to the chocolates.